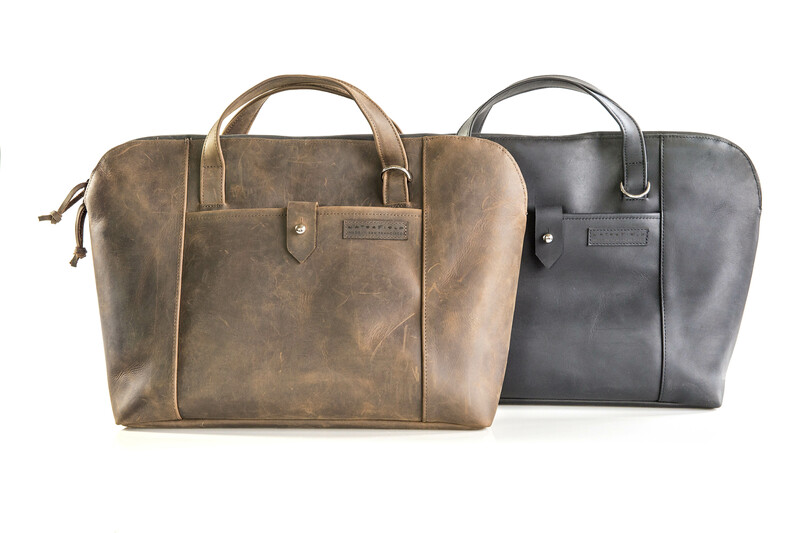 San Francisco’s WaterField Designs unveils the gorgeous all-leather Cozmo 2.0—an elegant attaché laptop bag with carefully-designed features to suit any business environment. 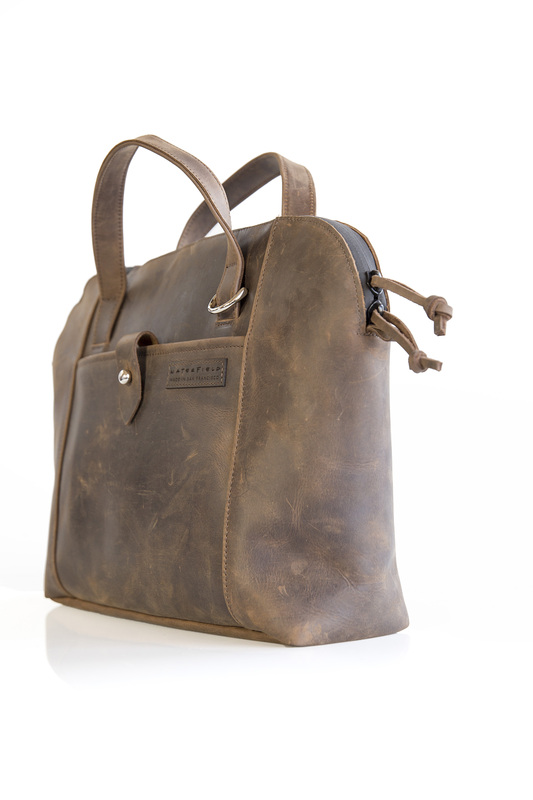 The Cozmo 2.0 is crafted in San Francisco and is available exclusively from the WaterField Designs' online store. 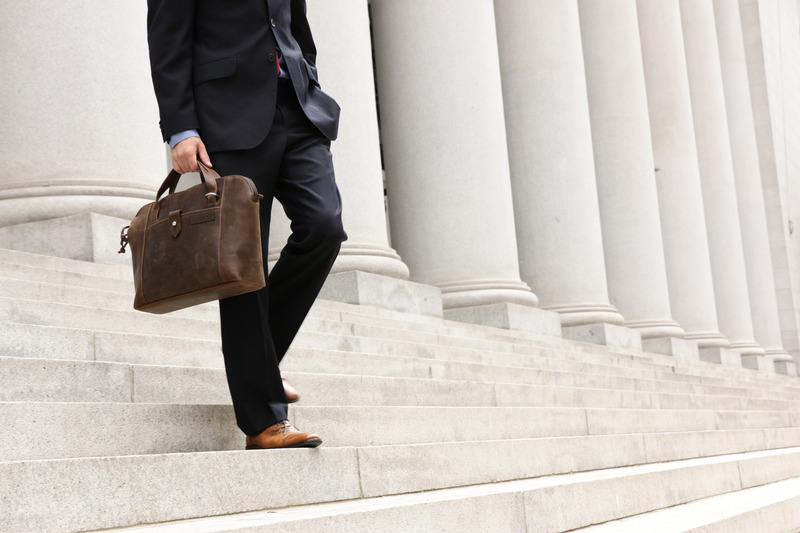 We set out to create the IDEAL business brief, and I think we’ve come really close. 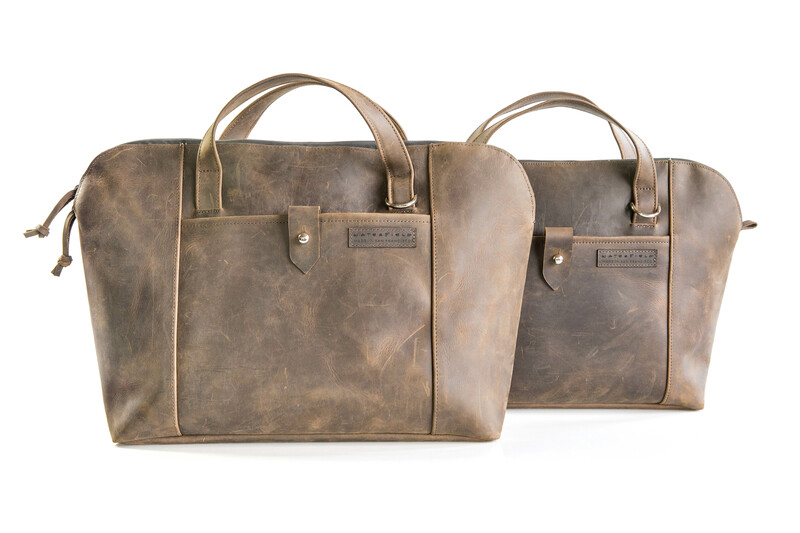 WaterField Designs, an innovative leader in custom laptop sleeves, bags and cases for digital-minded professionals, announces the Cozmo 2.0: an elegant, all-leather laptop briefcase. 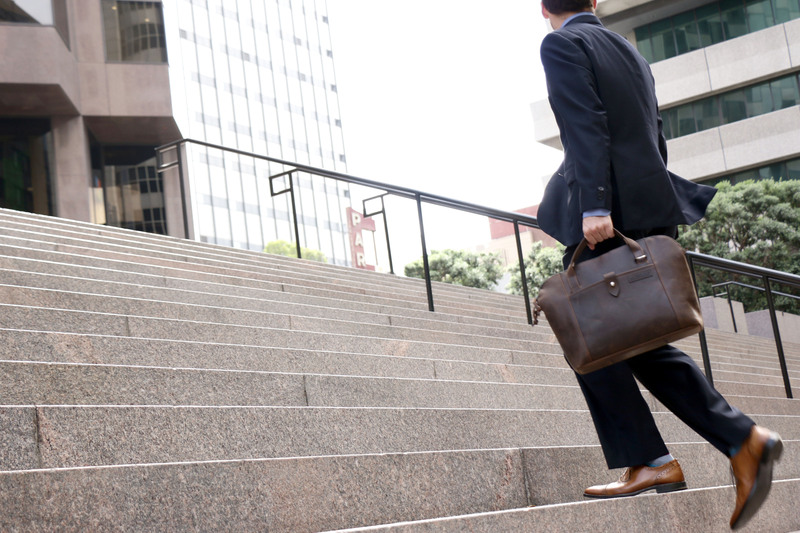 Thoughtfully designed details enhance the Cozmo’s functionality and comfort for professionals—from the padded laptop sleeve compartment and rolling suitcase slot to the off-set, ergonomically-friendly shoulder strap. 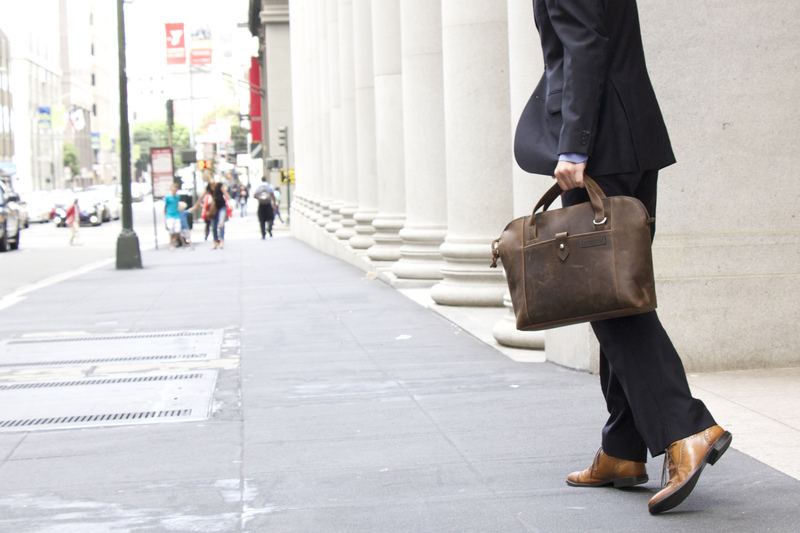 An impeccably-crafted business attaché, the full-grain leather Cozmo 2.0 stands up on its own and stands out in a crowd. 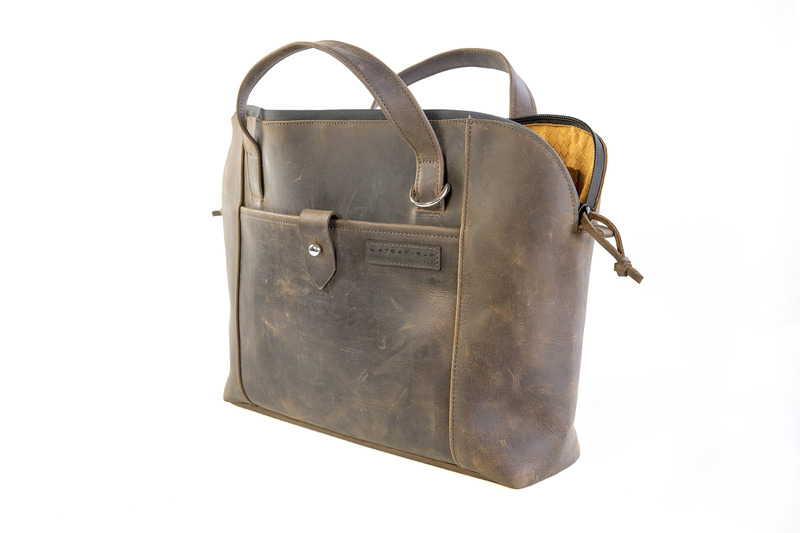 The Cozmo 2.0 demonstrates WaterField’s commitment to artisanal American craftsmanship. Every stitch is precise. 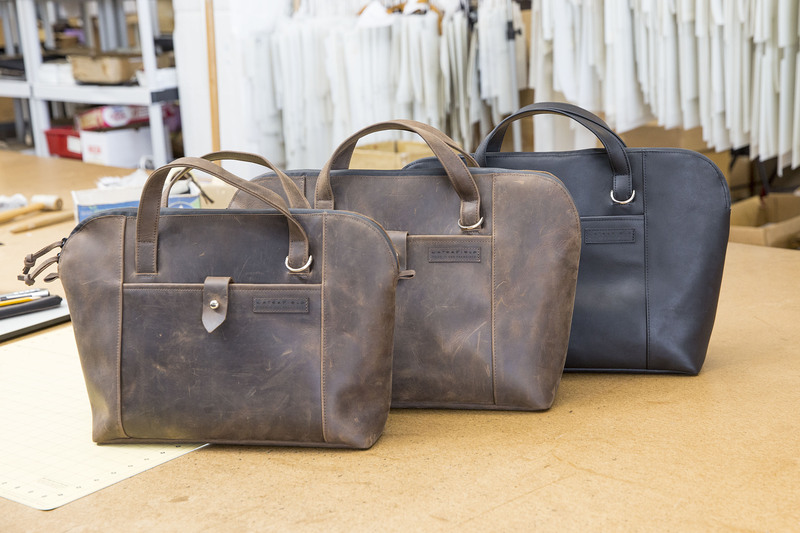 Each bag is sewn from the same leather hide to insure consistency in tone and texture. To reduce weight, the premium full-grain leather is then meticulously split and skived to within one millimeter accuracy. 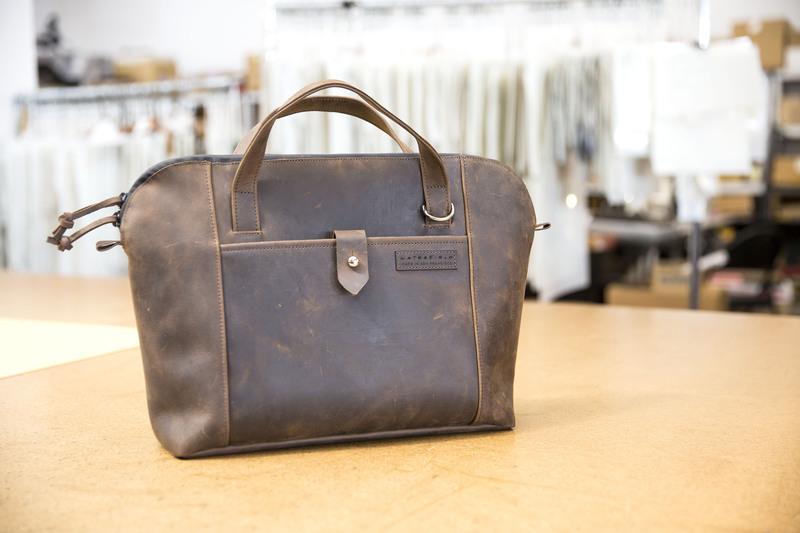 The leather pieces are carefully cut and sewn in our San Francisco studio to avoid any un-necessary holes. Our highly trained leather workers ensure that every Cozmo meets our American-Made quality standards. The Cozmo 2.0 looks compact yet includes ample interior space. Wider at the bottom, it tapers at the top for a slender look. A sewn-in plastic bottom plate gives it structure to stand on its own. 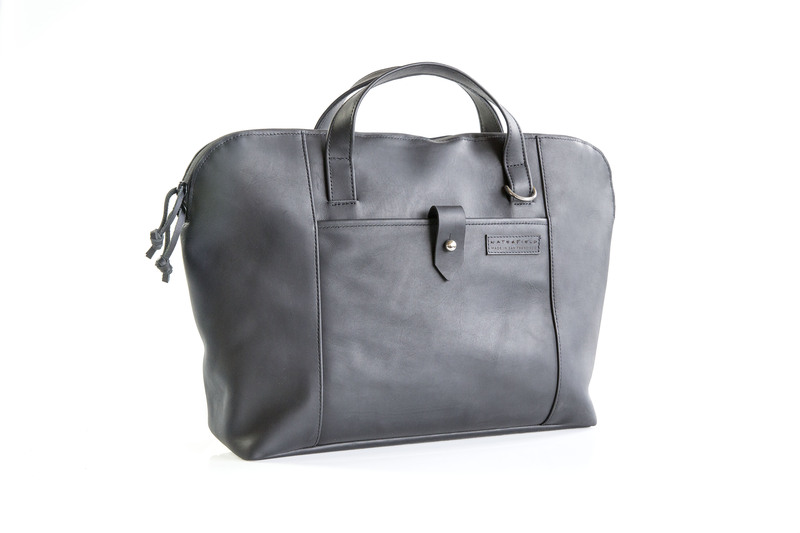 The main compartment opens wide with two sleek waterproof zippers and includes a built-in padded laptop sleeve. A gold liner brightens the main compartment as if someone “turned a light on” inside. 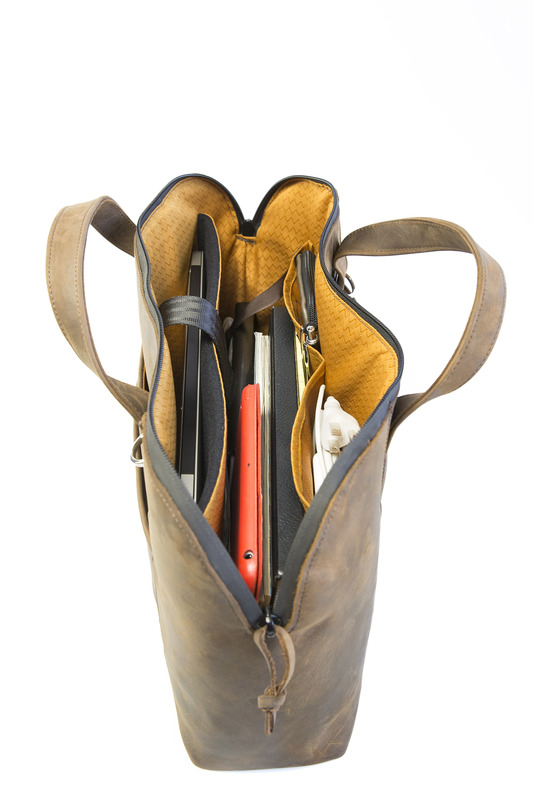 Two internal hanging pockets aid organization, and a key tether keeps keys or a pouch at hand in a hurry. 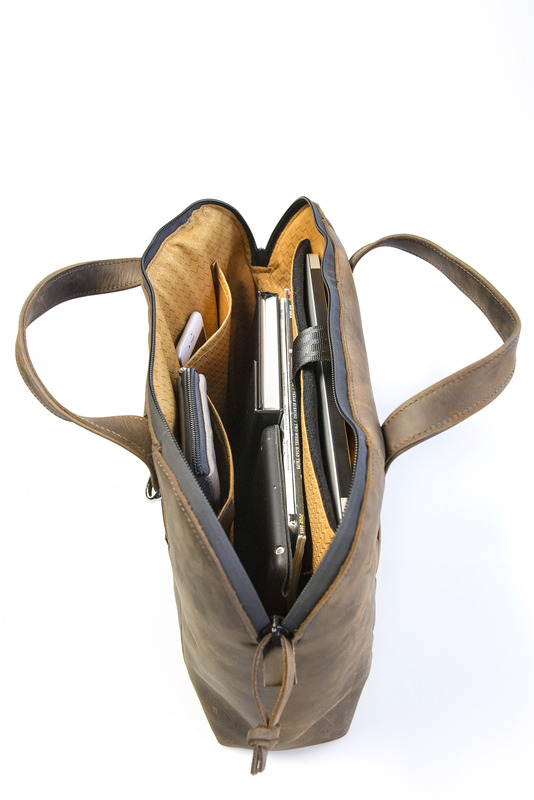 A deep outside front pocket secures shut with a leather tab and classic metal screw stud. 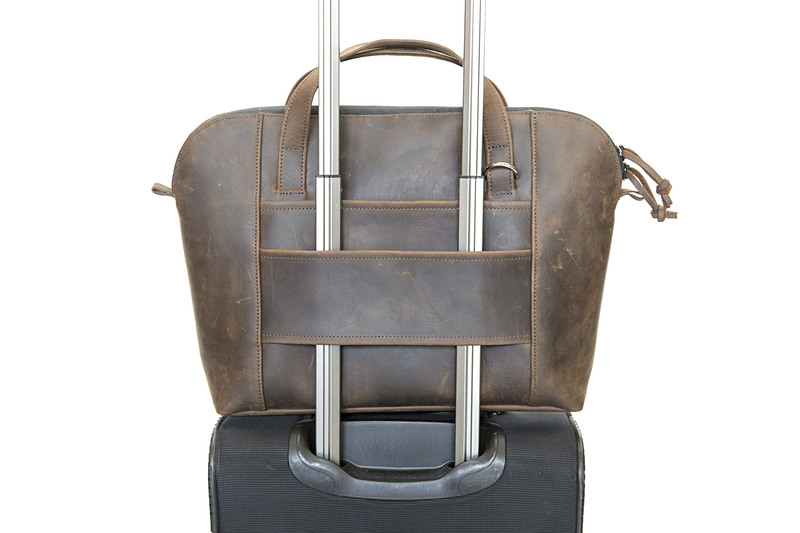 Business travelers will appreciate the strip at the rear of the Cozmo that slides onto a rolling suitcase handle for convenient, hands-free carrying at airports. 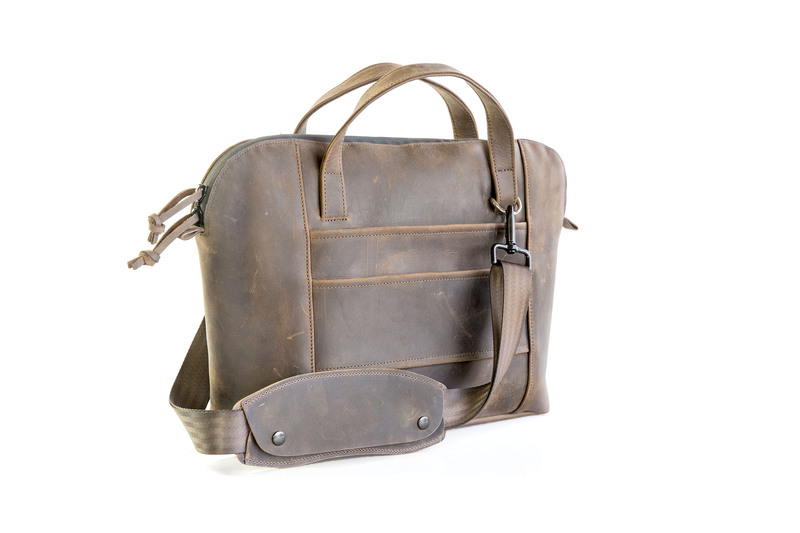 For every-day use, soft and comfortable dual-leather handles allow for a briefcase-style carry and an offset, removable shoulder strap creates a weightless feel and lets users alternatively carry the bag messenger-style. 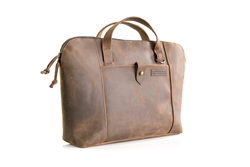 Two sizes: Compact—fits up to 13” laptop. Full-sized—fits up to 15” laptop. Compact dimensions: 15.5 to 18 x 12 x 4.75 inches; 2.4 lbs. Full-sized dimensions: 15.5~18 x 12.5 x 4.75; 2.9 lbs. 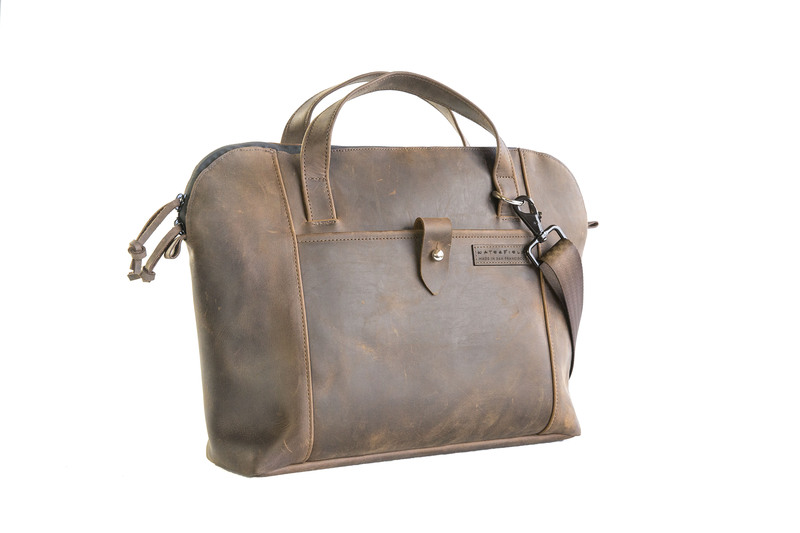 Materials: Naturally-tanned, full-grain, leather, metal stud closure, YKK waterproof zippers. 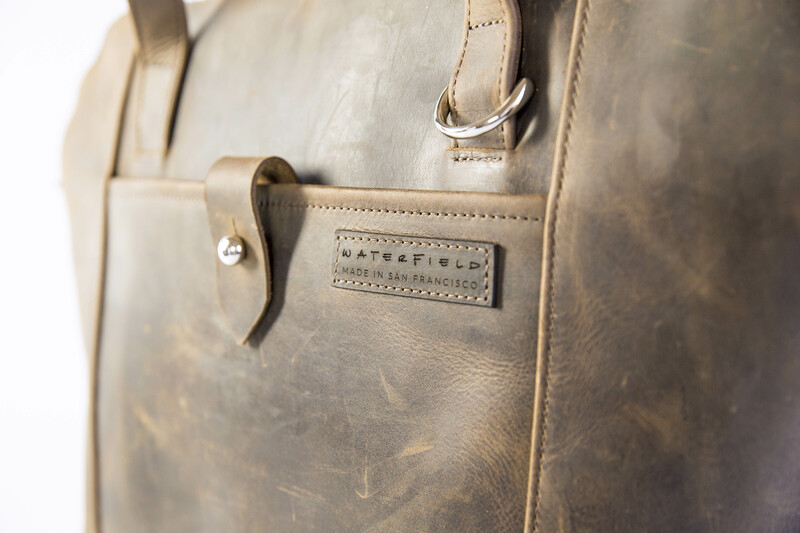 Available from the WaterField Designs' online store. Shipping: Made to order and ships within 5 business days.